Are you a Gastronaut? You might ask, “How do I know if I’m a Gastronaut if I don’t know what a Gastronaut is?” By definition a Gastronuaut is one who travels primarily or exclusively to enjoy the restaurants and specialty foods of a region. Here at Your DC Hotels, we love the idea of Gastro Tourism. (gastro-tourism. Recreational travel undertaken solely or primarily to experience the food and wine of a region. See also gastronaut.) Gastro Tourism not only allows the tourist to enjoy the regional foods of Washington DC but also enjoy Washington DC hotels. Washington DC Restaurant Week is the perfect reason to take a trip into the DC area, even if you don’t consider yourself a full fledge Gastronaut. During Washington DC Restaurant Week, more than 200 of Washington, DC’s finest restaurants offer 3-course lunches for $20.12 and 3-course dinners for $35.12. Washington, DC Restaurant Week is a great opportunity to experience Washington, DC’s best restaurants at affordable prices. Cuisines include Contemporary American, Mexican, French, Mediterranean, Italian, Southern, Seafood, Spanish, California, Pan-Asian and more! A complete list of participating restaurants is posted at www.restaurantweekmetrodc.org. 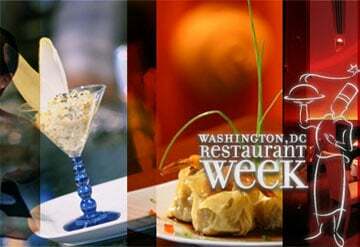 DC Restaurant Week runs August 13-19, 2012. Our mid-priced hotels in Washington DC provide the perfect locations to serve as your home base when visiting for restaurant week. The value our hotels offer will leave more money in your pocket, which means you can visit more of the Restaurant Week participants!